When Lizzie Choi receives a message from her brother telling her that he’s dead, she assumes it’s a joke. Lizzie, an employee of the powerful Everlight Corporation, already has to live under the cloud of her mother’s misdemeanours and could do without her brother, Shiv, adding further complications. 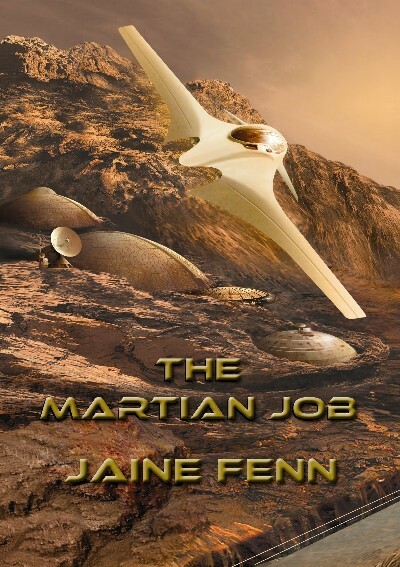 The pace never lets up in Jaine Fenn’s The Martian Job, as pulp action SF collides with high concept science fiction, paying homage to classic movie The Italian Job along the way. Perhaps Jaine’s finest work to date, it would be hard to imagine a better way to kick off NewCon’s third novella series. “Liberty Bird”, the last piece Jaine wrote for NewCon Press, won a BSFA Award. Who knows what The Martian Job might achieve? Available as a paperback and a numbered hardback, limited to just 100 copies, signed by the author. The book also forms part of a slipcase set, featuring signed hardbacks of all four titles in Novella Set 3, with Jim Burns' combined artwork as a wraparound.